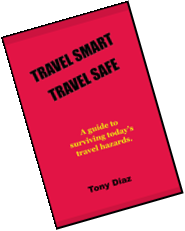 My second book — TRAVEL SMART, TRAVEL SAFE — is now available. A guide for the traveler, this book is full of recommendations and helpful information to avoid the problems and hazards that many travelers face today – from lost luggage and missed flights to kidnappings and acts of terrorism. Published by Booklocker Publisher, the book is available from the publisher as well as Amazon, Barnes & Noble, and Books-a-Million. Order your copy today! 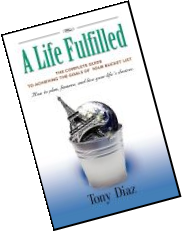 To fill your bucket list with things you would like to experiences and place you would like to go, find a cornicopia of memory building experiences and destination ideas in the currently available book: A LIFE FULFILLED; THE COMPLETE GUIDE TO ACHIEVING THE GOALS OF YOUR BUCKET LIST. This book is also available from Amazon, Barnes & Noble, and Books-a-Million, or from Booklocker Publisher, in both soft–cover and digital format. Tony's third book is currently in the works. 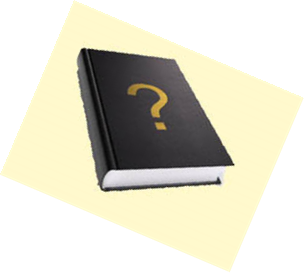 Expect it to be filled with information, trivia, and fascinating facts about people, places, and things that increase your desires to explore and know this wonderful world of ours. To view a sample chapter of his available books, click on the book cover. The most appreciated and cherished gift is the one that is most useful. And what could ever be more useful than a book? With the post-winter warmer days coming up, it's time to dust off the suitcases, camera bags, and start making plans for that new adventure called "summer vacation". 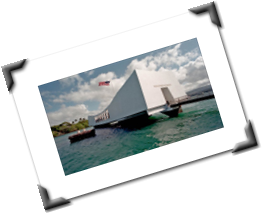 And the best way to prepare ourselves for that trip is to arm ourselves with the knowledge of what to watch out for and what to expect at our destination. Here are two books that have helped many in their travels. Whether it's across the state or across the globe, we all want the same outcome from our travels; a stress–free journey from which we return home safe and sound. There are many unpleasant factors and hazards that can confront the traveler, and knowing what to do (and what not to do) will better prepare you for the trip. Whether it's hotel safety, avoiding muggers, natural disasters, kidnappings, or acts of terror, TRAVEL SMART TRAVEL SAFE can provide you with the knowledge to make your travels stress free and safe. Not yet ready to pack your bags? Not sure how to turn your lifes dreams into reality? Begin with a bucket list. Instead of dreaming about living a good life, make it an achievalbe goal. A LIFE FULFILLED guides you through the do's and don'ts of bucket list development — what to include on your list, how to maintain your list, how to finance your dreams without breaking the bank, and what to do with all those memories and experiences. Both books are budget friendly and a great addition to any travelers or adventurers library. ". . . contains some real wisdom." "This is a must read if you want to create a bucket list." "This book is by far the best bucket list guide I've seen." ". 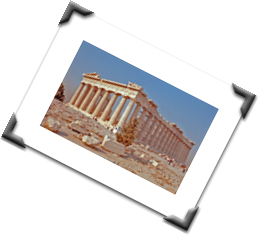 . . prepares you with the knowledge and tools that can make your next trip a trouble free and enjoyable one." ". . . a great resource!"